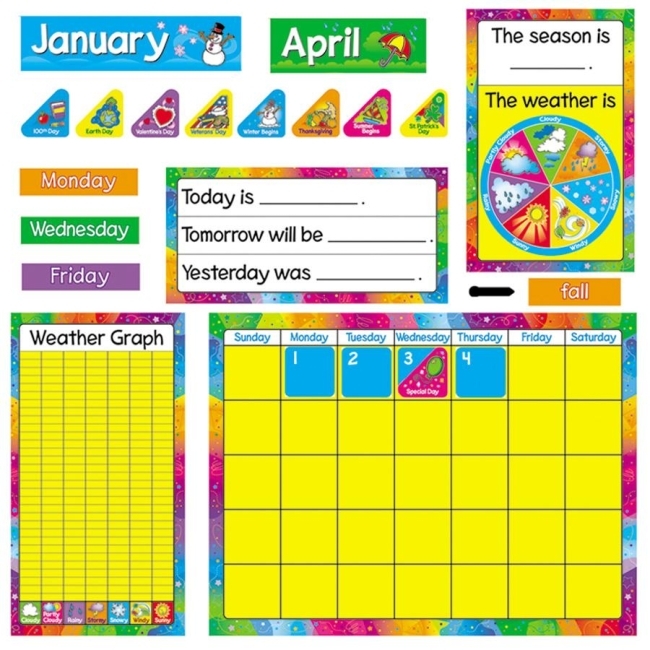 Year Around Calendar Bulletin Board Set is a classroom essential that highlights important days and events and teaches counting, days, weeks, months and other time concepts. 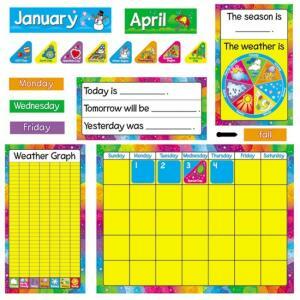 Calendar has precut tabs to hold date pieces in place. Offers more than 100 pieces. Ideal for prekindergarten to third-grade (ages 3 to 8).